God tells Job how powerless he is against the Leviathan. Is it allegory for Satan, whom only God can oppose? 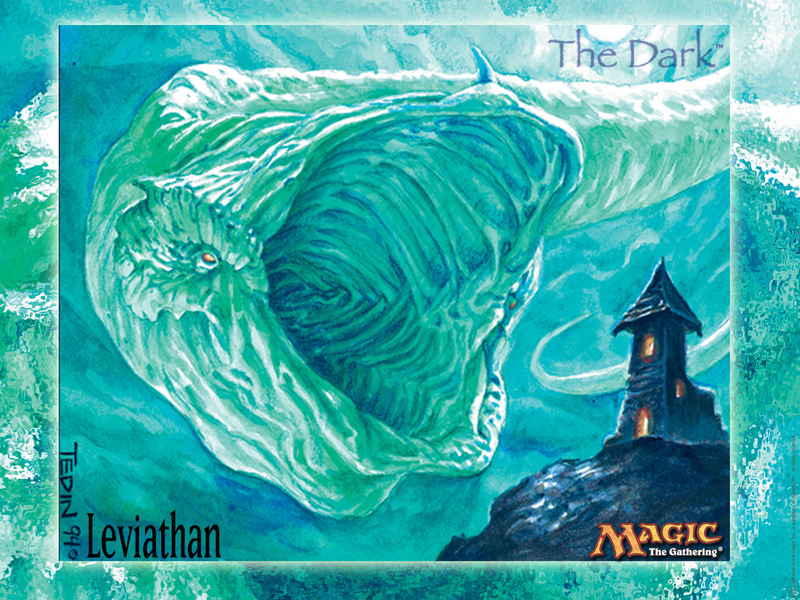 Or is Leviathan a force of nature or indifferent deity, for whom mankind is an irrelevance? Let’s discuss big fish in Beyond the Waves. These include the Aspidochelone or Kraken. Malign creatures that exist to drag humans below the waves, and personifications of cosmic evil. Gene Wolfe’s Book of the New Sun references Undines, gigantic women who are the concubines of Abaia, a gigantic, eldrich underwater monster. The undines are submarine giants. Perhaps they were once human, forced to exist in water once they became too massive to live on land. Crossing from land to water could be a magical trial, where the magician must survive in water through force of will, or perish. Over time they transform, gaining webbed hands and feet, etc. 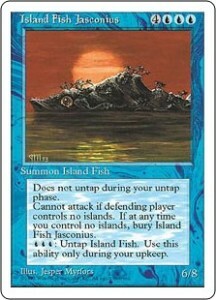 The mystical nature of the giant fish might also come from some associated human hero such as Paikea. The creature represents a force of nature and the rider is the spiritual force that directs it, for good or evil. These are ideas for the GM — whatever the origin the sea creature various island religions may have different interpretations of what the Leviathan means (see the tables below). How does each island culture regard the Leviathan? Does it feature in greetings, blessings, or curses? Do people wear amulets, charms? Do they inscribe images of the fish over their doors, in their boats, tattoos on their bodies? What does the fish mean to the islanders? Is it a demon, a wish-granter, a gateway to the other side of the ocean? There could be more than one big fish, or there could be more than one interpretation of the big fish. See the tables. The Leviathan will turn up in various sea or land hexes. Treat these as Further Afield major locations. Settlements and cities will be on land, so the Leviathan should be sighted near the settlement (and no doubt will feature in that people’s religion). Ruins could be wrecks or underwater ruins. Monsters should be self-explanatory, and Otherworld or Source of Power could refer to mystical attributes of the creature itself. These can be Seen, Heard or Read About per the rules. When the fish is seen, is it near or far? What signs are there that the fish is coming, or has been here? Wreckage, fish, strange colours in the sea? If the party encounter the fish on the water, how dangerous is it? How does the Fish influence local culture, religion, superstition? The creature is a source of ambergris, which can make an enchanted potion. Scavengers follow in its wake, collecting marine and faecal smelling floating matter, because someone pays for that stuff. The god grants wishes to those that can catch it by the tail. 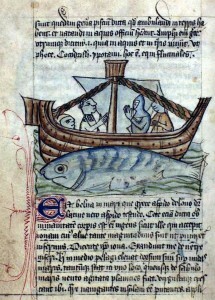 A mariner escorting the party between islands has a grievance against the fish, and deviates from their course when it is sighted. Pirates hunt it for its skin, which will allow them to walk between worlds. A magical harpoon is stuck in its hide. You may ride to the underworld in the fish’s mouth, as long as you have enough rare incense to burn that it doesn’t swallow you. To answer the questions, roll a dice or choose the answer that fits. Work in progress. What does the fish mean to these islanders? The Fish is a god of bounty, representing harvests, and appearing when the plankton blooms are plentiful. The Fish is a trickster, intent on luring sailors to their deaths. The Fish represents death, and carries dead souls across the Ocean. The Fish represents destruction, and where it appears violence will not be far behind. It can be appeased with a sacrifice. The Fish represents knowledge, which can be heard in its songs if you listen in the right way. The Fish is a transformed human, cursed to live in the sea. The Fish was once a human but is now a god with its own appetites. Who talks about the Fish? It’s not discussed; it’s a pagan superstition at best, and frowned upon. It’s commonly referred to in a blessing of good luck, or polite greeting. It’s commonly used as a curse. It appears regularly in imagery. 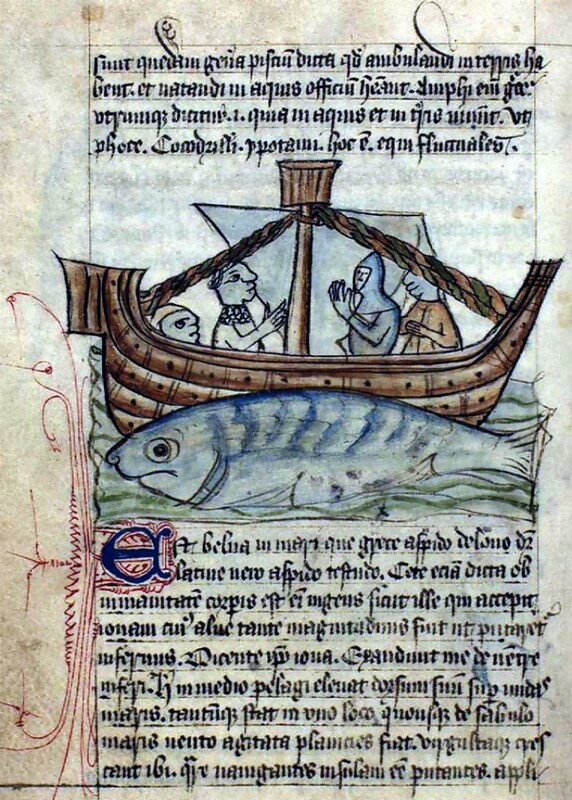 A hermit tries to warn people of the fish, but no-one will listen. There is a church and an organised religion. There’s a cranky magician at the edge of the island on an observation tower. A society (of assassins, magicians, or cultists) reveres the creature, and prays to it in secret. People fear talk of the Fish because they fear those that worship it. Tekeli li, etc. What symbols do people carry of the Fish? These can be worn as amulets to ward off its wrath, or to encourage its favour. A charm, worn around the neck or as a bracelet, or on an earring. A plaque or carving into the hull of a boat for good fortune and strength. Paintings, murals, or tapestries depicting the Fish in the background of human events. A carving in the lintel of every front door in the village. A giant stone, laid in the centre of a stone circle, carved into the likeness of the fish and worn by the elements. What tells you that the Fish may be near? Strange colours in the sky at night. The water turns a limpid green, as if you could see to the bottom. The water becomes opaque and reddish-black. Suddenly, a shoal of fish arrives, fleeing something. On land, sudden and unexplained acts of violence or hot tempers. On land, mad proclamations by a seer. A sudden calm and a break in the clouds. A human survivor, on a wreck, last of their crew, once swallowed and regurgitated. Ambergris, and possibly someone trying to collect it.